This disorder manifests itself as a pervasive pattern of social inhibition or intense shyness, coupled with a longing for relationships. People with Avoidant Personality Disorder are extremely sensitive about how others perceive them, and they are especially preoccupied with and afraid of social criticism or rejection. As a consequence, they typically avoid entering into social situations in which they might be scrutinized or rejected. Cogni-tively, they tend to exaggerate the risks associated with new activities and people, and they are also prone to interpret comments from others as critical—confirming and justifying their fears. In essence, the avoidant type rejects others first to avoid being rejected by them. As a consequence, they are often isolated and lonely. When they are in relationships with others (e.g., close relatives), people with Avoidant Personality Disorder have strong fears of being ridiculed and therefore are highly controlled, reserved, and restrained. They often come across as self-effacing, diffident, and uncertain. Their social anxiety is frequently palpable and detected by others. 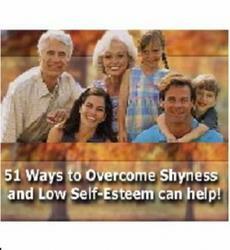 Their shyness is fueled by powerful feelings of inadequacy and low self-esteem. They see themselves as agonizingly socially inept, incompetent, inferior, and unappealing to others, who surely will reject them if given the opportunity. 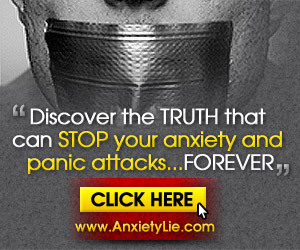 They further believe that they cannot cope with the anxiety associated with social relationships, choosing to avoid them instead. Prone to embarrassment, shame, and feeling foolish, they steer clear of social opportunities. 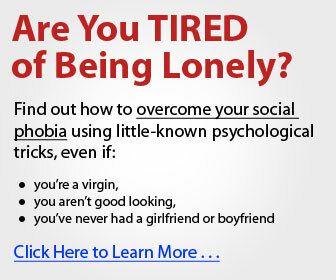 Because the avoidant type is extremely detached and socially isolated, this disorder can sometimes be confused with the schizoid type (in Cluster A), which shares many of these same behaviors. However, there is an important distinction between the two personality disorders. Whereas schizoid individuals prefer interpersonal distance and are comfortable with isolation, avoidant individuals desperately want to be connected to others, but their intense social anxiety and shyness prevents this. Avoidant Personality Disorder is closely related to social phobia (also called social anxiety disorder), coded on Axis I. An example of social phobia is a person who is fearful of speaking in public or of eating in front of other people, fueled by fears that he or she will do something embarrassing. In fact, many people with social phobia also meet the diagnosis for Avoidant Personality Disorder, although the main distinction is that the shyness and social anxiety are more pervasive and enduring in the personality disorder than in social phobia. Table 4.1 lists the DSM-IV-TR diagnostic criteria for Avoidant Personality Disorder. Several criteria for Avoidant Personality Disorder seem to fit poorly for older adults. Probably the most inappropriate is Criterion 1 (avoids occupational activities that involve significant interpersonal contact, because of fears of criticism, disapproval, or rejection) because the vast majority of older adults are no longer in the workforce and therefore detection of their avoidance in this area makes little sense. We do not see a reason why this criterion focuses explicitly on the avoidance of occupational activities, rather than on the avoidance of any type of activity due to social fears, which more accurately describes the avoidant type. An argument can also be made that Criterion 4 (is preoccupied with being criticized or rejected in social situations) may not necessarily reflect a personality defect but may be a reasonable reaction for those in later life who experience increased social rejection due to negative stereotypes about aging and the rampant ageism in society. Furthermore, Criterion 5 (is inhibited in new interpersonal situations because of feelings of inadequacy) may be problematical for some older adults, especially when widows and widowers reenter the dating world after being "out of the scene" for many years. Feeling self-conscious and inhibited in this context is reasonable and should not be viewed as a core personality deficit. Finally, Criterion 7 (is unusually reluctant to take personal risks or to engage in any new activities because they may prove embarrassing) may not apply well in the later-life context, especially when physical problems experienced by some older people (e.g., incontinence, hearing loss, requiring oxygen, wearing a colostomy bag) may realistically be sources of potential embarrassment. In these cases, hesitance to engage in new activities may be reasonable until the person has had a chance to improve physically or to adjust psychologically to the infirmity if it cannot be treated medically. Theorized Pattern in Later Life and Possible Impact of Aging Some degree of social anxiety is experienced by most people. During adolescence, social discomfort is typical, although it tends to diminish as people mature and become more comfortable with themselves. It is particularly sad when intense social inhibition persists into later life because it seems as if the intensely shy older person has missed out on the normal developmental pathway to social poise and confidence experienced by many of his or her peers. It is also sad to see older adults so lonely and disconnected, primarily due to their own internal struggles, especially at a phase in life when social networks typically are smaller but more selective and meaningful than they are earlier in life (Lang & Carstensen, 1994). A distinction to be made here is among older adults who are isolated by adverse circumstances in later life but who have not had a lifelong pattern of social inhibition, older adults who are alone by choice and able to enjoy their solitude, and older adults who are isolated but desperately lonely, too shy to seek warmth and comfort from others. Clinicians should assess whether the isolation is due to adventitious circumstances (e.g., losses, illness), choice, or lifelong traits of shyness, timidity, and inhibition (the latter being indicative of personality pathology). Older adults with Avoidant Personality Disorder are particularly vulnerable to the social losses that are commonly a part of later life (e.g., death of marital partners, friends, and peers; migration of children), because their networks are generally constricted. Although avoidant individuals may have been involved in relationships with a small number of friends or family members earlier in life, they have great trouble replacing relationships that they have lost. Because they are hesitant to try to meet new people or engage in new activities unless they are "guaranteed" of being liked, they may become an annoyance to social directors of diverse communal living settings. Avoidant individuals often come to later life lonely, anxious, and frightened, and they can easily become more alone and frightened as their limited networks inevitably shrink. Another pattern is that of older adults with this disorder who do not apply for or accept needed social or supportive services due to their fears of being evaluated and found wanting. One of our patients, a 67-year-old diabetic woman, refused a physical rehabilitation strategy of swimming in a pool because she was afraid of having to interact with the other swimmers and fearful of being rejected. When individuals with this disorder present for psychotherapy, a potential complication is that they easily become overly dependent on the clinician and too eager to please the clinician. Interventions that bolster social skills and assertiveness can help patients deepen relationships outside the safety of the therapy relationship and reduce their social isolation.